Introducing the perfect wear-with-anything linen tunic dress! 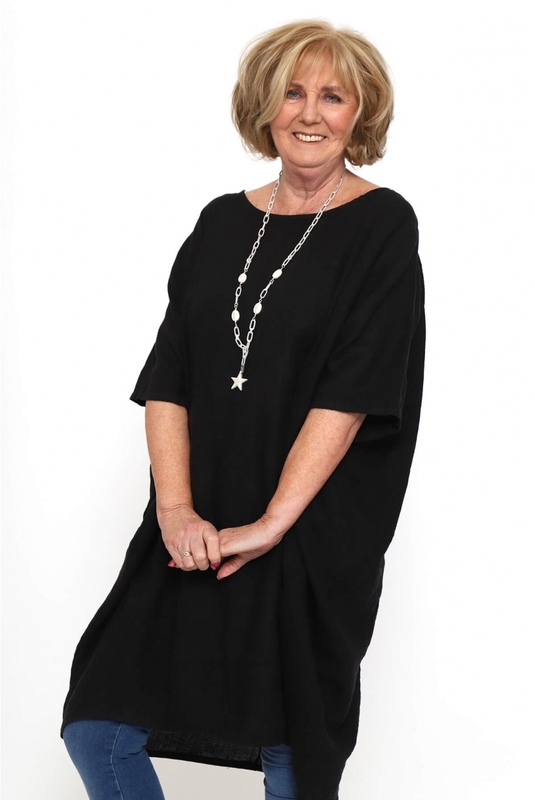 The Made in Italy Hollicombe Linen Dress features a classic round neckline and elbow length sleeves. Finished with panel detailing to the bottom half of the dress making for a very flattering fit, this style is perfect for a relaxed spring weekend look this season!